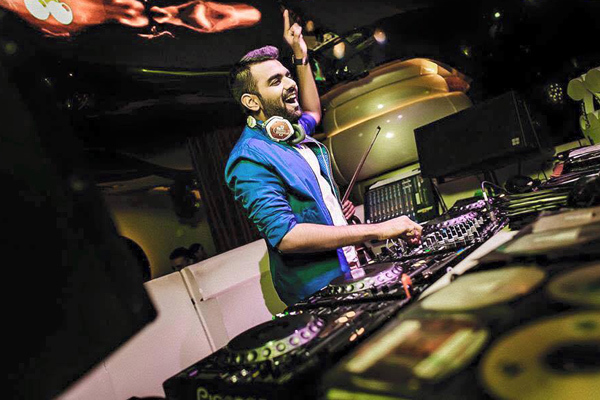 MUMBAI: DJ Chetas, who has clinched the 59th spot on DJ Mag’s top 100 list, is elated with his latest achievement, as it makes him the first Indian to be featured on the prestigious list. And to thank his fans for putting him on the pedestal, Chetas is planning a free gig in Mumbai in December. “It is a great feeling for me to reach that level and I am grateful to the people who voted for me and got me featured on the list. The feeling is even greater because I am the first DJ from the country do make it to the list, and I will work harder from now on,” he said about the latest feather in his cap. The DJ revealed that he did not expect to get featured on the list, and has plans to organise a free concert for college students in Mumbai as a gesture of thanking them. “It was the people who voted for me and I owe them a big thank you, which is why I am planning a concert wherein all the youngsters can come in and join the party. The event will be held in Mumbai in the month of December,” he elaborated. He believes that Bollywood is the one thing that works with audiences in India, and getting featured on the list has made him more confident about his music. However, Chetas admitted that the 9XM TV show ‘House of Dance by DJ Chetas’ was is what made him a household name. “I think the show helped me to a great extent because I got recognition. Not only people from India, but also places like Dubai and Singapore voted for me,” he added. He also mentioned that unlike a lot of DJs, he plays sets that people like, which is probably was another thing that clicked well with audiences. Chetas is now concentrating on composing music and is also focusing on his academy.